Ben Eltham asks the obvious question about Alan Kohler and his conflicts of interest in relation to his cameos on ABC TV news, versus his new gig at News Ltd, in Kohler's untenable conflict of interest. Let's assume for a moment that the current crises in the media, Gina Rinehart, Fairfax and News Ltd are of occasional interest in the financial section of the news. Alan will continue to provide accurate, balanced and editorially ethical journalism for a range of media outlets, including the ABC, and we are very proud that he is part of our business team. And we will manage any potential conflict of interest in an appropriate way. But precisely how can he provide balanced coverage of the media, which is not just balanced, but perceived to be balanced? Is silence on certain issues, like Rupert Murdoch being a disgrace, accurate and balanced? Kohler's now taken the dollar from the man - actually a bunch of dollars - and good luck to him. 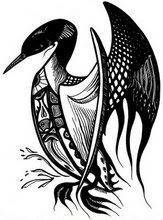 (The pond is available for a buyout at any time, and is most attractively priced considering its recent astonishing Bingle bump). If the issue of News Limited does come up in relation to Alan's work for us, the ABC would expect the kind of appropriate disclosure that all good journalists routinely undertake - the kind of disclosure, in fact, that Ben Eltham happily adds to his own article, and yet seems determined to deny to Alan Kohler. That's because Eltham suggested Kohler should be stood down, but by seeing that extreme solution as the question, Torney skips over a simpler, straightforward question. Why isn't Kohler tagged as a News employee each time he turns up on camera? At the time we first contracted him to provide a range of content for us, Alan was working for Fairfax. The ABC looked closely at this and determined that the accurate, balanced and editorially ethical journalism he was producing for Fairfax was entirely compatible with the accurate, balanced and editorially ethical journalism he would be providing for the ABC. Balanced journalism? So Rupert Murdoch is a disgrace? Strange, don't remember that causing a storm on ABC TV news. Back in the good old days, the ABC took the editorial guidelines seriously. 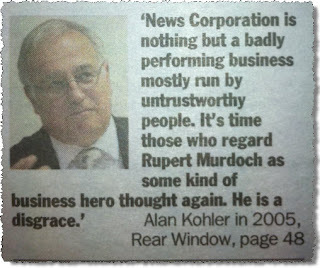 And back in the day, Kohler dishing it out to Murdoch sounded like the pond on a grumpy day, or a Fairfax hack, or a tea and scones ABC employee tired of daily bombardment by News hacks. As usual, we have to look elsewhere for insight. It was Crikey who put up that Fairfax image above, which you can find here. And there's also a handy link to Stephen Mayne celebrating Alan Kohler's feral attack on Rupert Murdoch back in 2005. 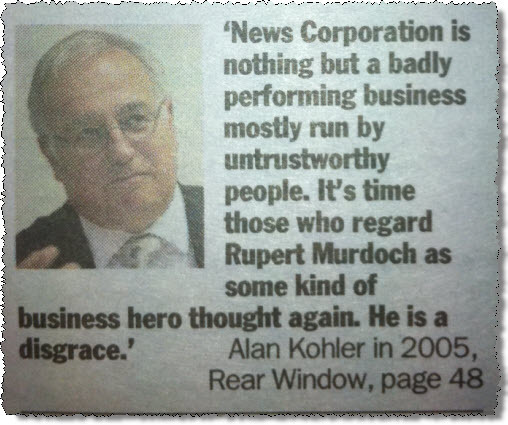 What's the difference between life in 2012 for Kohler, and life in 2005 scribbling about Rupert Murdoch, with talk of poison pills and charisma machines and a badly performing business run by untrustworthy people, and Murdoch as disgrace rather than hero? Apart, that is, from the phone hacking and News of the World and The Sun scandals, Fox News even more in the ascendant, The Australian on a crusade to spread confusion and ignorance on matters of science and social policy, and the major local tabloids more mad than a cut snake, as well as being home to professional ratbags like Andrew Bolt? Well clearly a little settlement helps sooth savage breasts and murky waters, and it might be a long time before we read another little outburst like the one Kohler delivered for Fairfax under the header Shock! News screws punters. ...The proposition - put forward in the Murdoch press - that the broken promise doesn't matter because it was a good profit result, the dividend was increased and the share price went up, is preposterous. 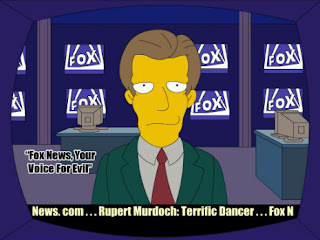 Ah the good old days when Rupert was a snake-oil dealer offering preposterous nostrums. And now the ABC can't imagine that it was wrong when Kohler was working for Fairfax not to acknowledge potential conflicts? This won't go away, as Kohler turns up to do his usual piece, and the ABC tries to pretend that it's business as usual. Already just in dealing with the controversy, there have been a flurry of acknowledgements and egg shell disclaimers, as with Ben Butler admitting he once worked for News Ltd - it's okay Ben, we forgive you - before he put together a piece titled ABC's Kohler embroiled in conflict of interest claims about the fuss for Fairfax. Kohler did no disclose any conflict of interest during segments on Tuesday, Monday and Friday that discussed the financial woes of News and AIBM competitor Fairfax Media, owner of The Age. Alex Wake, a newspaper veteran and journalism lecturer at Melbourne's RMIT University, said the ABC should disclose Kohler's position during his segment. ''I believe that any journalist should disclose who they work for and their interests, and I don't see why this couldn't be run across the bottom [of the screen] on the ABC,'' she said. Done and dusted. It's not Kohler's fault, he's just making a living, it's the ABC's fault for not producing a simple, quick disclaimer that at least alerts the punters and gives them fair warning. Why won't they do it? Well perhaps because it might disturb the pristine sense of objectivity - so ugly to have a disclaimer disturb the surface of the unsullied, unsoiled ABC - or perhaps it's too hard for them to dig up their own financial journalist with the clout of Kohler. The Age could not reach Kohler for comment, but yesterday he told Sky News - in which News holds an indirect stake - that he had no conflict of interest. ''I have always worked for someone else while working for the ABC,'' he said. And now? As Ethlam notes, as Kohler told PM, these days he couldn't be happier, he's very, very happy to be working with News Limited, it's a fantastic organisation, they've been really great to deal with, and now he's a salaried employee with this wonderful organisation. Rupert a disgrace? Quoi, moi? Is anyone else a little disconcerted by this exchange? Kohler is the news. Here we have the guy who fronts the ABC television news every night telling ABC audiences that he now works for one of the largest companies in the Australian media industry, and that he's very happy with them. And on Tuesday, without disclosing this deal, he was writing a prominent piece of commentary about Fairfax Media – the mortal enemies of his new bosses. The new bosses that he didn't tell us about. You can't get a clearer example of a conflict of interest than this. Every time Kohler goes on the television, there is a conflict, involving money, between the interests of the ABC's audience and the interests of the other audience – the corporation that also employs Kohler. Mortal enemies? Too right. You don't call your friends Pravda on the Yarra. Kohler's piece for The Drum had a statutory set of pedigree notes at the bottom of the page, if not the crucial one, but there's no need for any of this on ABC TV News? And now for a disclaimer. The pond has absolutely no connection to anyone mentioned in this piece, but it's the fond hope of the pond that when the ABC finally buckles and starts running a disclaimer under Kohler, it will spill across those damned pesky, irritating graphs he keeps producing like some PowerPoint presentation gone mad, designed to send the average viewer running from the room shrieking in fear. 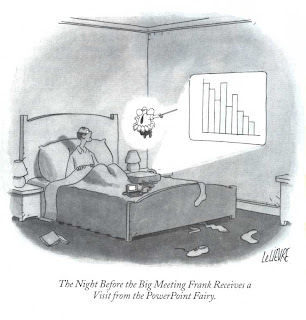 Enough already with the graphs. You can get that sort of set dressing from the graphs in The Big Bang Theory. Truth to tell, the pond's bigger gripe is that the ABC News is now lazy and second rate, done by rote and as predictable a half hour as you could wish for. Open with a little or a lot of ambulance chasing, depending on the suburban crises of the day, throw in a couple of federal and state political stories (skewed for local interest in each state), drop in a Sophie Scott medical story, fling in Alan Kohler and eek, a PowerPoint graph, do a little sport, toss in the weather for flavouring, and round it all out with an arty or odd spot bit of fluff. And every so often fling in a promotional piece for a bit of ABC product which in the old days would have been treated as a shameless advertorial and despatched to the outer rings of hell. An additional Kohler problem is that when he purports to descend to do 'analysis' [as in his duplicated pieces at Crikey and the Drum]it's usually crap. For example, did you know that Tasmania and Greece are the same place? I can't abide his superficiality. OK, DP, this will annoy you on 2 counts. 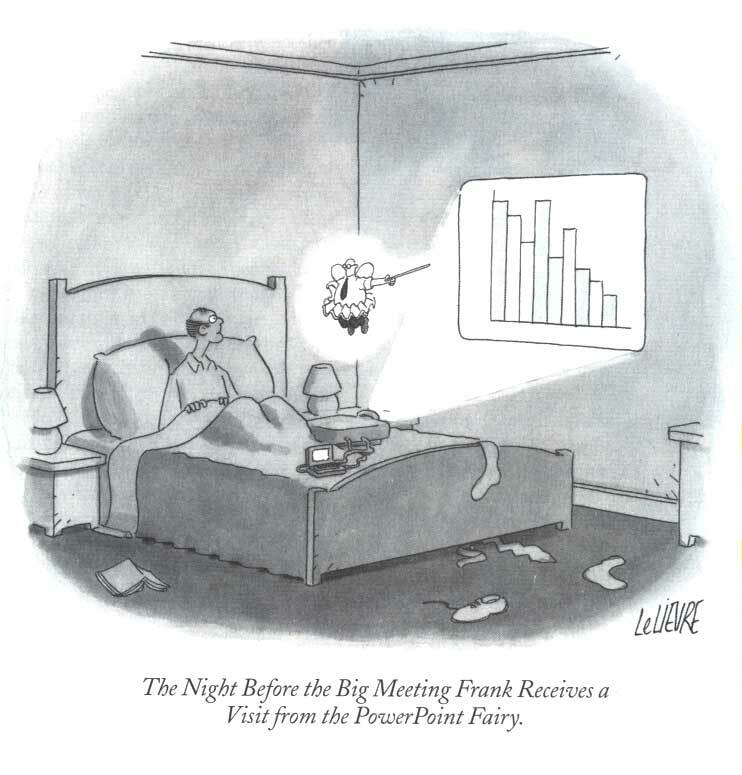 One, I like Kohler, he has graphs & charts. Two, I've clipped this blog piece to Evernote. PP, DP? Wash out your mouth! The non-proprietary term is "slides with text". Anyway, http://www.brainpickings.org/index.php/2012/06/20/things-every-presenter-should-know-about-people-susan-weinschenk/ at ~3.20 mark mentions slides. Weinschenk (The Brain Lady) is right on with her first point, the 20-minute limit. BTW, have had to change my alter & browser, Seamonkey kept crashing. Not too sure about having all my Bitcoins with Google, though. Maybe, just maybe, Crikey will piss him off now and get someone else, almost anyone will do, to fill the vaccuum. Oh, I like your work.